Work directly with you to implement ISO 9001 by developing a custom system that meets the minimum requirements of the 9001 standards. Use our skill sets (i.e. process identification, process mapping, process measurement & monitoring, problem solving & root cause analysis, Lean, Six Sigma, etc.) to help you engineer or re-engineer a business management system that achieves ISO 9001. Our service deliverables typically include the seamless integration of advanced methods and rapid deployment & implementation techniques. ISO 9001 is an international quality management system (QMS) standard. It offers fundamental management and quality assurance practices that can be applied to service and manufacturing organizations. The requirement offers a powerful foundation of planning, control, and improvement for just about any organization. Without a QMS, organizations may have little chance of sustaining any improvements or innovations they might attain. Because ISO 9001 is generic it is also quite flexible. In very few places does the standard specify exactly what your organization must do. In most cases, the standard allows a great deal of discretion to your organization in terms of how to design your processes and procedures. This enables you to customize your approach to ISO 9001 compliance. In supplying products or services there are three fundamental parameters that determine their salability. They are price, quality and delivery. Customers require products or services of a given quality to be delivered or be available by a given time and to be of a price that reflects value for the money. While price is a function of cost, profit margin, and market forces, and delivery is a function of the organization’s efficiency and effectiveness, quality is determined by the extent to which a product or service successfully serves the purpose of the customer. Price and delivery are both fleeting features, whereas the impact of quality is sustained long after the attraction or the pain of price and delivery has subsided. Quality in ISO 9001 is defined as the degree to which a set of inherent characteristics fulfills customer requirements. The implication is that quality is relative to what something should be and what it is. This could be a product, service, document, piece of information or any output from a process. Increased marketability—Nearly all observers agree that ISO 9000 registration provides businesses with markedly heightened credibility with current and prospective clients alike. Provides a competitive advantage and could increase sales and market share. Improved customer service—The process of securing ISO 9000 registration often serves to refocus company priorities on pleasing their customers in all respects, including customer service areas. It also helps heighten awareness of quality issues among employees. While people want to have security at work, most employees also want to be satisfied with the work they do. And engaging the employees in the processes of the Quality Management System can improve their job satisfaction. As well, employees who receive training within their organization feel as if they are more a part of the overall team. If the company management is willing to put the time and resources into training employees, then the employees will feel more appreciated and valued. These employees will be engaged in their work and more focused and integrated with helping the company succeed. Good quality is an outcome of your processes that is why we focus on improving your processes before documenting your quality system. The standard’s structure has changed and now encapsulates 10 general divisions: scope, normative references, terms and definitions, support, performance evaluation, performance improvement, context of the organization, leadership, planning, and operation. Risk management has been added with a focus on risk-based thinking. Identification of risk and risk control is now a requirement. Standardized core text, structure and definitions. There is a major focus on organizations creating value for their customers. The 2015 revision has more applicability to service organizations. Primary focus remains on customers. The ISO 2015 Transition deadline is fast approaching, and all ISO 9001 certificates must transition to the new standard by September 14, 2018. 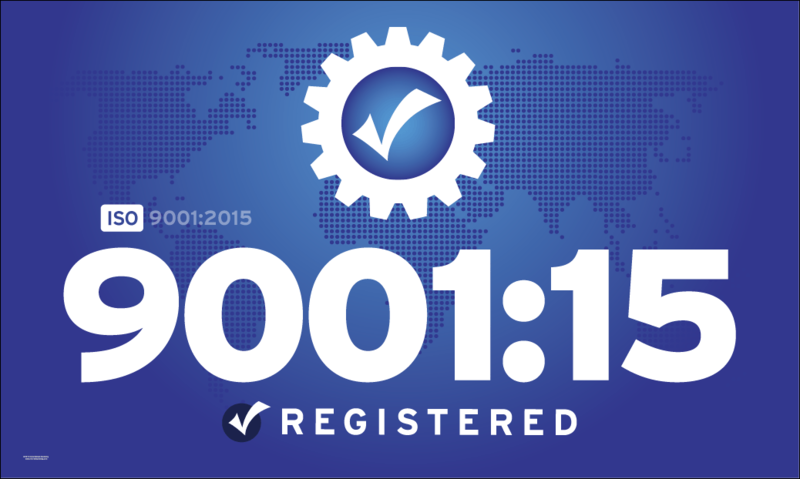 After that date, all 9001:2008 certificates will no longer be valid, and this may affect your ability to supply to all markets. Want to learn more about our ISO 9000 services? Call us 847-919-6127 or complete our contact form.